Dead Centre – Not All Suicide Bombers are Religious by Owen Jones is a different take on a hot topic of conversation. 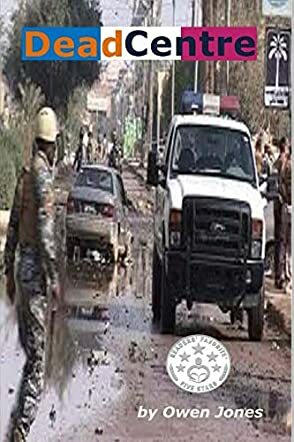 Tony, a terrified soul, walks into an upper class department store in Baghdad and just seconds later, he detonates the bomb strapped to his body. The Iraqi government first treat it like any other suicide bomber and the case is passed over to Captain Allwi. Things are not what they seem, though. A young police officer spots something on the store's surveillance video that changes the game plan, taking the investigation off on a tangent. Six more apparent suicide bombs go off, which cannot be explained unless they are treated in the same way as the Baghdad bomb. A new form of terrorism is taking over the world and it could be unstoppable. Possible breakthroughs get them nowhere and it’s all looking hopeless until the Chinese government and the SAS are called in. Dead Centre – Not All Suicide Bombers are Religious by Owen Jones was a great read. A well written thriller that starts off on top gear and stays there all the way through. The scary thing is this sort of event could happen – could be happening now for all we know – and the subject is likely to get one or two backs up. However, subject aside, Mr. Jones has written a superb story, with great characters, that spans 9 different countries and dozens more cities. Excellent book, I will definitely be looking out for more from the same author.